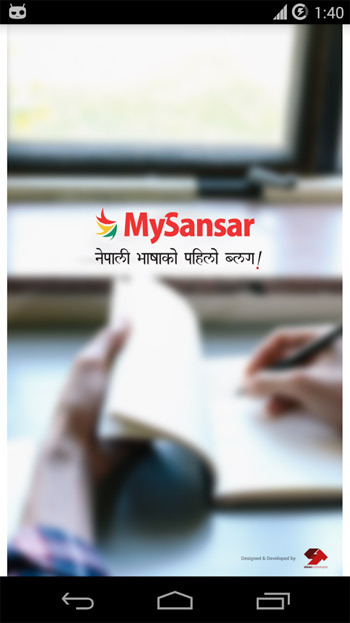 why dont mysansar create a “mobile web app” version aswell which works for android/ios/windows. If coded properly mobile web app version fits exactly on multi devices screen. Windows compatible पनि आउछ होला नि ? अन्जान जी, तपाई पनि बेकारमा आवेशमा आउनुहुन्छ । ढिलोचाढो आईहाल्ला नि..
Iphone मा कसरि गर्ने त ?